Heralded as "the most significant invention [for film] since the coming of sound" (The Observer 2003), by 2005 DVD players were in approximately 84 million homes in the US, making it the "fastest selling item in history of US consumer electronics market" (McDonald 2007: 135). This book examines the phenomenal growth of DVDs in relation to the cultures, economies, texts, audiences and histories of film, television and new media. Film and Television After DVD brings together a group of internationally renowned scholars to provide the first focused academic inquiry into this important technology. The book picks up on key issues within contemporary media studies, making a particularly significant contribution to debates about convergence and interactivity in the digital media landscape. 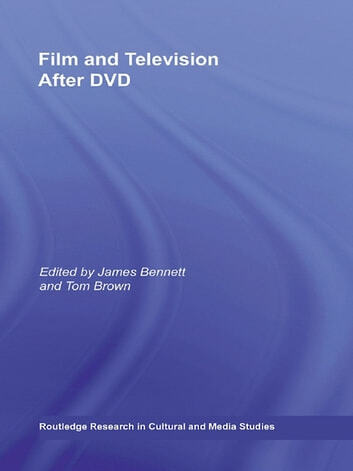 Essays consider DVD as a technology that exists outside the boundaries of "new" and "old" media, examining its place within longer histories of home film cultures and production practices of the film and television industries, whilst also critically evaluating what is genuinely "new" about digital media technologies. From DVDs to downloading, peer-to-peer networking and HD-DVD, this book speaks of the rapidly evolving digital mediascape. 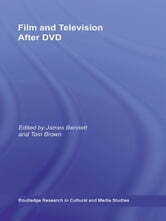 Ultimately, Film and Television After DVD is a book that considers the convergence of film, television and new media and their academic disciplines through the DVD as a distinct cultural object, pointing to persistent questions in the study of audiovisual culture that will remain intriguing long after the shelf-life of the DVD itself.